A sensual combination of modernity and tradition at the Herrenhof. We invite you to taste with us all new and fresh bottled wines! Learn about the farm, the place of our work, where the wines are coming from, the people and why our wines are so unique. We open our wine cellars for you. Taste with us all new wines + regional delicacies. 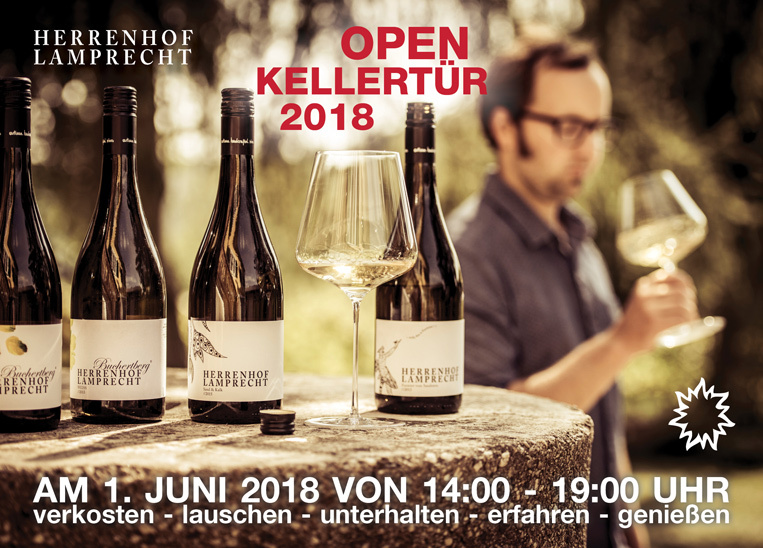 Look forward to a gemuetlich afternoon with us at the Herrenhof. What? we are going to taste all current bottlings + some specials from older vintages!